Despite various technological innovations and advances, productivity growth has stagnated or declined the world over. Understanding the root causes behind this paradox can help address the issue before it worsens. Economic debates are often about jobs, economic growth, and policies to support the two. Very rarely does the argument focus on productivity. This may be because the concept of productivity is difficult to measure and not well understood. Productivity measures an economy’s efficiency in using a factor of production, such as labor, to produce output. Any increase in productivity can suggest that the economy is producing more output with equal or less input. One could intuitively expect that the technology boom and rising innovations witnessed over the past two to three decades, such as the flood of computing power available to individuals, the Internet, smartphones, artificial intelligence, additive manufacturing, and the use of drones and robots would likely increase labor productivity. However, the leading measures of productivity suggest the opposite. Despite the steady progress in technology since the 1990s, the world’s productivity growth has either remained stagnant or declined.1 This productivity paradox has baffled many economists and policymakers. The fact that productivity growth has been modest may be a cause of real worry because in the long run, there are two factors that can drive economic growth: increases in the number of people working and productivity. With an aging workforce owing to shifting demographics, especially in advanced economies, productivity growth will likely have to take on a more important role in driving sustained growth. Figure 1 shows that world labor productivity grew moderately through the 1990s and early 2000s.2 Rising productivity in the low- to middle-income countries offset sluggish productivity growth in high-income regions. World productivity growth peaked in 2006, just before the global financial conditions started deteriorating. Productivity growth fell sharply in the aftermath of the global financial crisis in 2008 and has remained subdued since 2010. With the global financial crisis-related factors impacting global demand and credit conditions worldwide, low- to middle-income economies also joined the declining productivity growth club, of which the high-income countries were the founding members. World productivity growth fell from 3.9 percent in 2006 to 1.8 percent in 2016. Figure 2 shows average annual productivity growth for a few selected countries across regions and income. Asian economies noticeably outperformed the European and the US economies, both before and after the 2008 global crisis. The differences between the countries and regions fell substantially, however, in the years after 2010. China had the highest productivity growth among these nations, although it suffered a substantial 11 percent decline after the crisis. South Korea and Singapore also experienced declines in productivity growth. Indonesia was the only Asian economy that witnessed a 1.5x increase, while India retained its productivity growth over the two periods (close to 6.5 percent). Among the European nations, Turkey and the United Kingdom were among the better-performing nations in terms of productivity growth in the period before the crisis, but suffered severely post the crisis. Spain and Russia witnessed a marginal increase in productivity growth after 2010. All the Americas nations noted reported lower productivity growth, with the United States witnessing the largest fall in the period post the crisis. Productivity growth has been negative since 2010 in Brazil and South Africa. Among high-income countries, Singapore was the only economy that had productivity higher than the United States in the years 2007 and 2016, while Japan and the United Kingdom had the lowest, as shown in figure 3. Among low- to middle-income countries, India and Indonesia were the only two economies with productivity lower than that of China. These three economies were ranked among the highest in terms of average growth as seen in figure 2. The comparison at levels for these two years makes it apparent that the drop in productivity was more severe among low- to middle-income countries relative to high-income countries between 2007 and 2016. Productivity growth was a subject of concern for many even before the financial crisis. Despite the acceleration in middle-income countries, many analysts worried about slow productivity growth in developed countries. After the financial crisis, the slowdown in productivity growth has prompted additional debate. While productivity in emerging and developing economies was rising during the period before the crisis, actual productivity levels remained relatively low (as shown in figure 3) due in part to their slow economic transformation and structural reforms. A few of these factors are likely to persist for some time and could remain a significant drag on productivity growth across the world in the years ahead. As Paul Krugman famously remarked: “Productivity is not everything, but in the long run, it’s almost everything.” It is therefore important to understand the root causes of the productivity slowdown and address them as early as possible so that right measures can be taken to correct course. 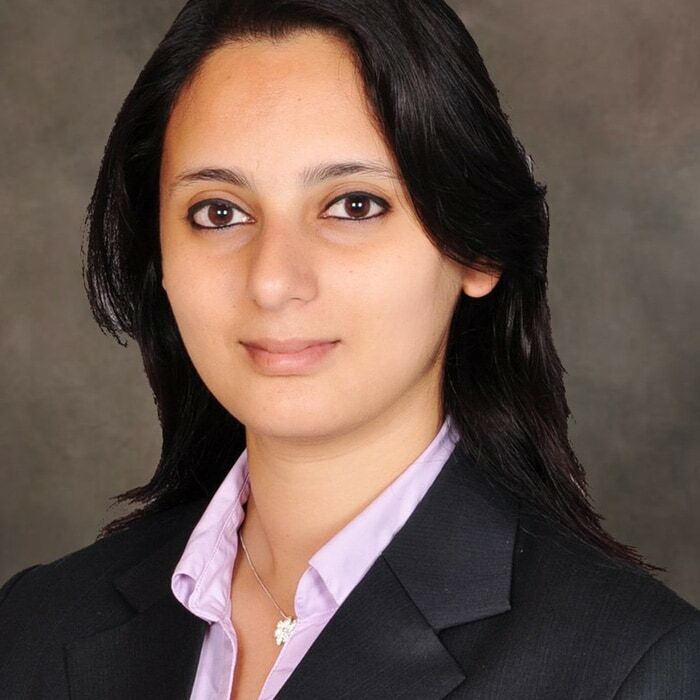 Dr. Rumki Majumdar is a macroeconomist and is based in Bengaluru, India. Understanding the productivity paradox has been added to your bookmarks. Understanding the productivity paradox has been removed from your bookmarks.